Ms. Michaels helps her clients protect and defend their intellectual property and business enterprises in courtrooms and arbitration proceedings around the country. With decades of experience as a trial lawyer, she provides reliable counsel to companies of all sizes, from small start-ups to large corporations. Ms. Michaels has successfully handled dozens of trademark, trade secrets, patent, and copyright cases, obtaining injunctive relief and damages to enforce the valuable intellectual property rights of her clients and defending infringement claims brought against her clients. 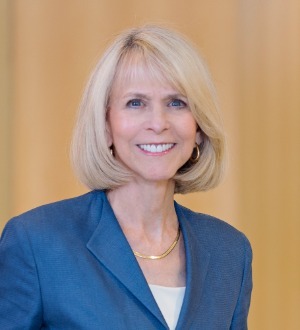 She has won numerous complex jury trials and bench trials in business disputes, in both IP and commercial litigation. She advises clients across multiple industries, including telecommunications, computers/electronics, Internet, biotech, pharmaceutical, manufacturing, hospitality, sports, real estate, and oil and gas. Ms. Michaels is Chair of Holland & Hart's Trial Practice. She is also a certified arbitrator and mediator and has handled dozens of alternative dispute resolution proceedings in intellectual property and commercial cases. Honored by Lawdragon as one of the "500 Leading Lawyers in America"